If your organization is currently using a legacy Oracle database environment – look out – you may soon be confronted with rising license renewal and support costs for these technologies. It’s not too late to migrate out now. 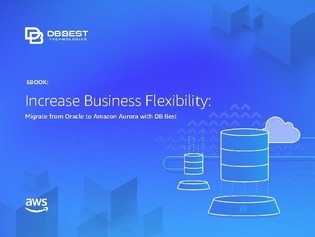 Open this whitepaper to learn about DB Best, a database and application migration solution that can help you make a seamless change to Amazon Aurora. Read on to learn more about DB Best's offerings in database migration, data services, and application modernization.